It’s known as the eighth natural wonder of the world, and there’s a reason for that. Torres del Paine National Park, located in the Magallanes region of Chilean Patagonia, is one of the most visually arresting places on Earth, covered in granite peaks, blue glaciers, pristine lakes, and endless grassy plains full of unique local flora and fauna. All these spectacular landscapes mean that it’s one of the best places to go for a photo safari. Whether you’re a seasoned professional hoping to expand your portfolio, an amateur looking for a learning experience, or just wanting to try something new, this is why Torres del Paine is heaven on Earth for photographers! 1.Diversity of terrains and natural formations – You want mountaintops that look like the Rockies on steroids? You got ‘em. 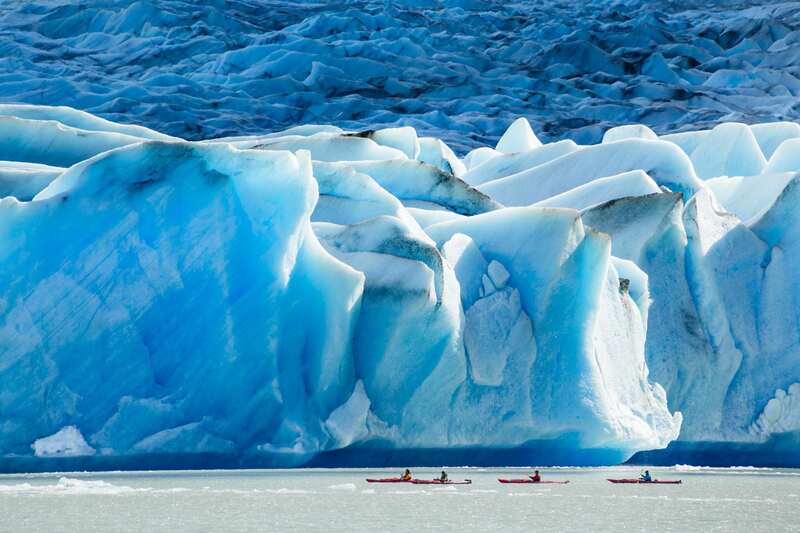 You’re looking to see some glaciers? They’re right there. You want old-growth forests? Not a problem, right this way. Windswept plains? Yep, got that too. Lakes? Rivers? Valleys? 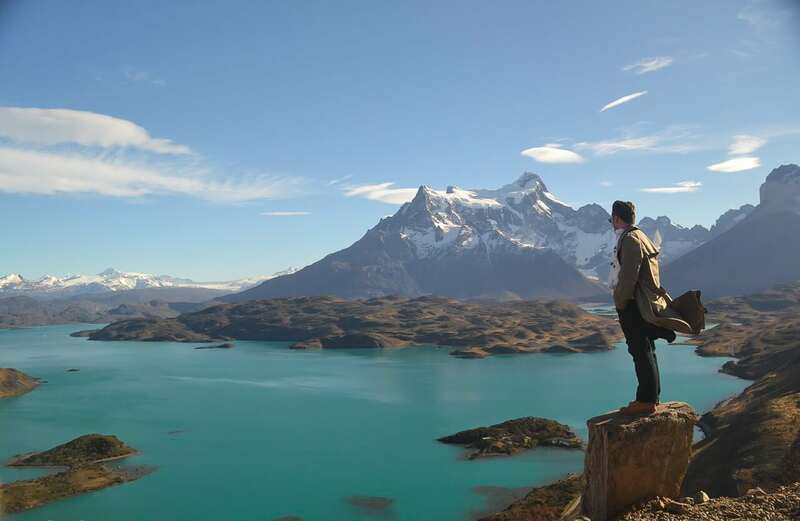 Say no more, Torres del Paine has it all. For photographers, going to a site that has a wide range of landscapes to choose from is the golden ticket, as it easily allows you to experiment with texture, light balance, color, and more without long drives in between shooting locations. 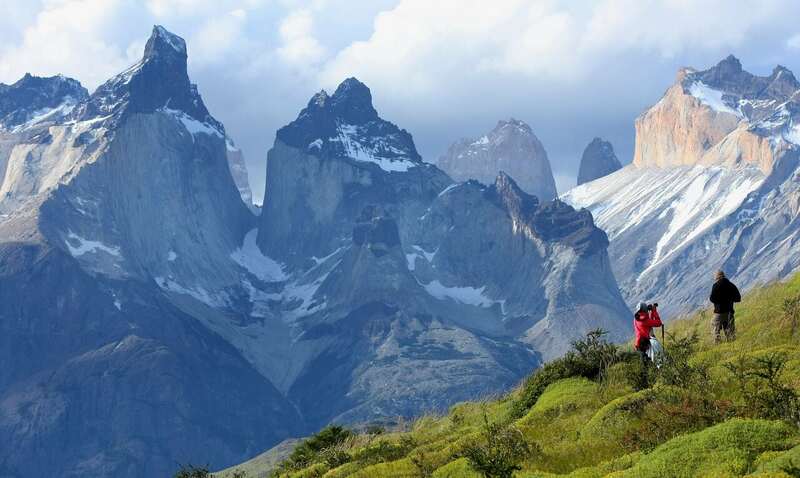 Although access to some spots in Torres del Paine, like the back of the Paine Massif, can require a day or two of intermediate hiking to get to, many of the most popular places in the park can be gotten to within a few hours. 2. Variable weather – Weather can either be a photographer’s best friend or worst enemy and while Torres del Paine is notorious for its winds and at times unpredictable weather, where there is bad there is also good. Those high winds that can be setting up a tripod a bit of a chore also produces spectacular lenticular clouds over the mountains, making for amazing cloud and landscape shots. Snow or rain can utterly transform the park’s already jaw-dropping landscapes, allowing for unique images that show the park in different ways. And, of course, if you visit outside of high season in the winter, spring, or fall, you can stunning seasonal photographs (fall is especially great for the foliage up against the mountains). And of course, just as quickly as the weather can turn bad, it can clear up and be a gorgeous day. A little patience and perseverance in the face of weather is what makes a photography session in Torres del Paine one of the books. 3. Stellar opportunities to see wildlife up close – Torres del Paine isn’t just a hotspot for landscape photographers; it’s also a great place to see native wildlife in its natural habitat and be able to capture the moment! Herds of guanacos roam the pampas of the park throughout the year and can be easily spotted, and sightings of condors, Darwin’s Rhea (a large bird which is similar to an ostrich or emu), and red and grey foxes are also pretty frequent. But then there are the rare sightings, which are really a treat. You might be lucky enough to catch a glimpse of a huemul, a small deer that appears on the Chilean coat of arms, or, the crown jewel of Patagonian wildlife sightings, a puma! Pumas can relax for hours out in the pampas or be in hiding waiting to attack prey, giving you ample time to snap those pics! 4.Peace and quiet that allows you to practice your craft – There’s nothing like having no one else around to put you at ease and allow you to spend hours experimenting with angles, lens, and shutter speed. 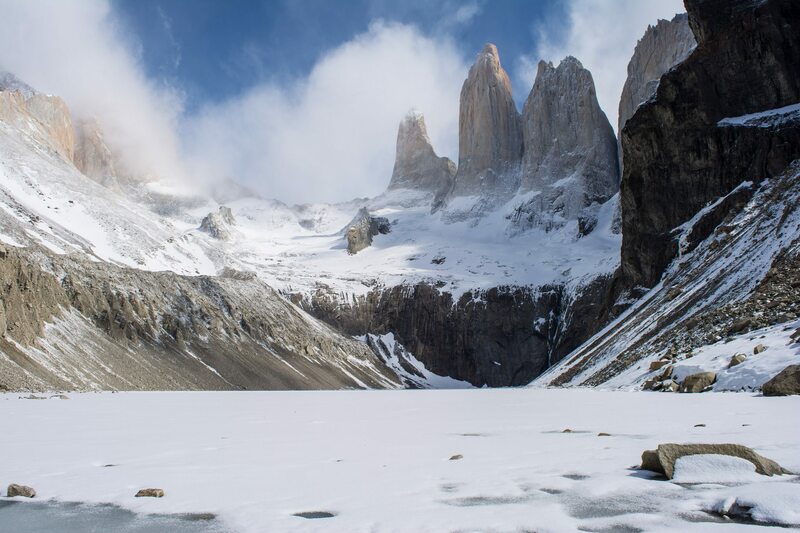 Even though Torres del Paine is one of the most popular trekking destinations in South America right now, there are still plenty of places around the park and on the trails where the crowds and noise go away and it’s just you and your surroundings. So if you love going to remote, peaceful sites for your shoots, this is the place to be. If you’re interested in trying out photography in Torres del Paine, check out our new Torres del Paine Photo Safari program, led by professional photographer and tour leader Justin Hofman. Find out more here!